Welcome to AQUIDNECK ISLAND ADULT LEARNING CENTER! 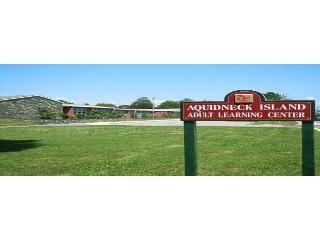 The Aquidneck Island Adult Learning Center is in its’ thirty-eighth year of operation as a community service.. As a full service adult learning center, we provide a complete menu of literacy, adult education and vocational training programs to Newport County youth and adults. We provide assessment, literacy, workplace literacy, high school completion and vocational training and counseling services that are based upon the findings of recent research and best practices. We strive to assist adult learners to become literate members of the community and to become economically self sufficient through our training programs. We welcome you to our learning center and look forward to helping you achieve your goals.